Tilly has a BA Hons in Fine Art from Liverpool John Moores. After her degree she worked as a secondary school teacher of art and design. It was during this time that she discovered vitreous enamelling. Vitreous enamel is powdered glass that is fired on to a metal base usually copper, steel, or precious metal. Vitreous enamels often react with whatever metal they are fired onto, producing unexpected colours and effects. Whilst this is a stumbling block for the beginner it is one of the characteristics that Tilly loves about enamel, To use enamel well requires experience and knowledge of the likely effects that can be achieved if the enamel is fired for different times and at different temperatures. 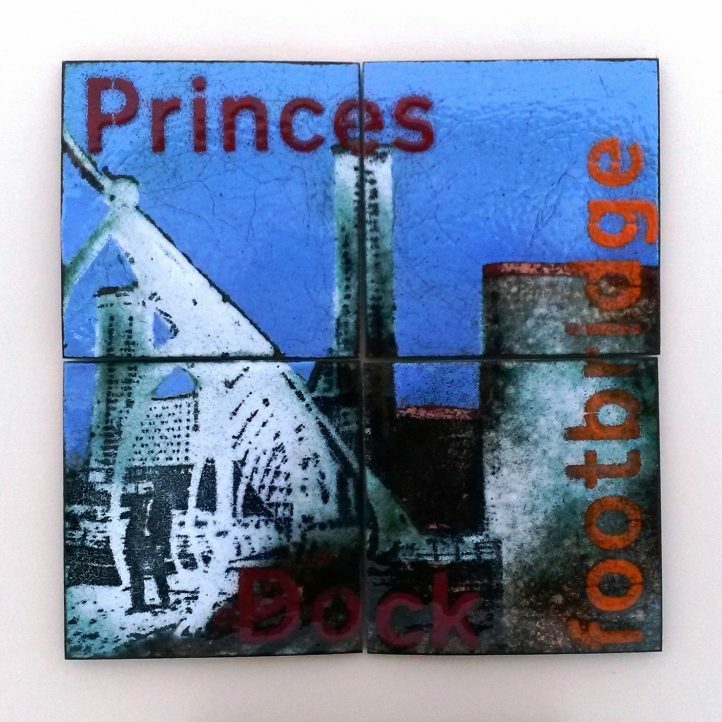 Tilly has spent the last twenty years experimenting with different enamelling techniques and has had training from some of the best enamellers in the UK and Europe. Over the years she has taken a number of silversmithing and metal forming classes with highly regarded professionals. Tilly produces a range of items from wall pieces to 3 dimensional work, jewellery and bowls. Her current work has a narrative element to it and is illustrative of the comings and goings of the wildlife in her own garden and in the wider landscape around her. She is a past Chair of the Guild of Enamellers, holds its coveted Craftsman of the Guild of Enamellers award and is currently the Guild’s regional representative for the North West of England and North Wales.